THE DUBLIN CITY manager has said he was sceptical of the Dublin Bikes scheme when it was first introduced – but he was “completely wrong”. Owen Keegan was speaking today an event to mark the 10,000,000th journey made on a Dublin Bike. Some 980,000 journeys have already been made on these bikes in the capital this year. I’m glad to say I was proven completely wrong. Keegan said it has “brought cycling to the masses”. The bikes, recently rebranded under Coke Zero sponsorship, is being expanded around Dublin and in other cities around Ireland. Other European countries have looked to Dublin Bikes when planning their own public bike schemes. September will mark its sixth year in the capital. Keegan was hesitant to say if Dublin suburbs will gain access to the bikes. “There’s certainly a demand,” he said, and is being looked at, but noted that it is hard to deliver in concreted business districts like Dún Laoghaire. 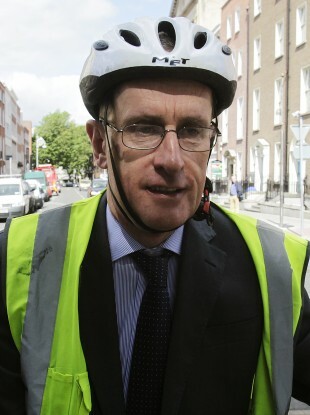 Email “City manager: I was completely wrong about Dublin Bikes”. Feedback on “City manager: I was completely wrong about Dublin Bikes”.